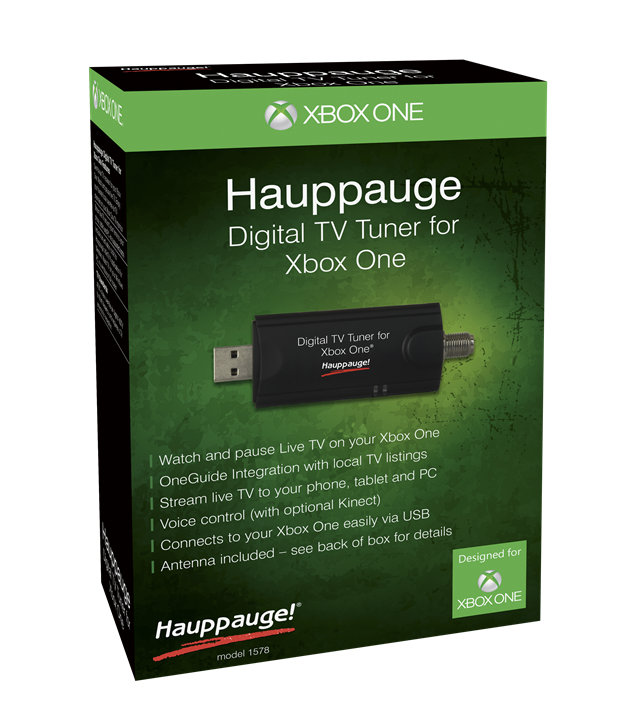 Microsoft is now offering an Xbox One Digital TV Tuner designed for the console, thought a partnership with TV tuner manufacturer Hauppage. The arrival of the dedicated hardware marks the wider launch of over-the-air TV support for Xbox One owners across the U.S. and Canada, following a preview launch of the software features via the Xbox beta program. The OTA TV support for Xbox One means you can pair the new tuner hardware with an HDTV broadcast antenna (like the Mohu Leaf 50, which is available in a bundle with the new USB tuner for $100 direct from Microsoft) or whichever you might have to be using in your area currently. Live TV features include full HD signal support, as well as compatibility with Snap for side-by-side TV and gaming, Kinect for voice control, and streaming to other devices via the Xbox and Xbox One SmartGlass apps on Windows, Windows Phone, iOS and Android – even if the console’s being used for gaming by someone else in the house. Other features include OneGuide integration, meaning you can navigate your OTA channels right alongside live TV, on demand content and cable/satellite feeds connected to your console. You can also pause live TV for up to 30 minutes, and then rewind and fast forward through that content (OTA DVR would be even nicer, but perhaps that will arrive as a future feature update). I’ve already set up OTA TV on my Xbox One using the preview and an older version of the Hauppauge tuner, and found the results extremely satisfying. If you’re a cord cutter especially (or if you just prefer crisp OTA HD signals for things like sports), this is a great way to get up and running with the console you probably already have.